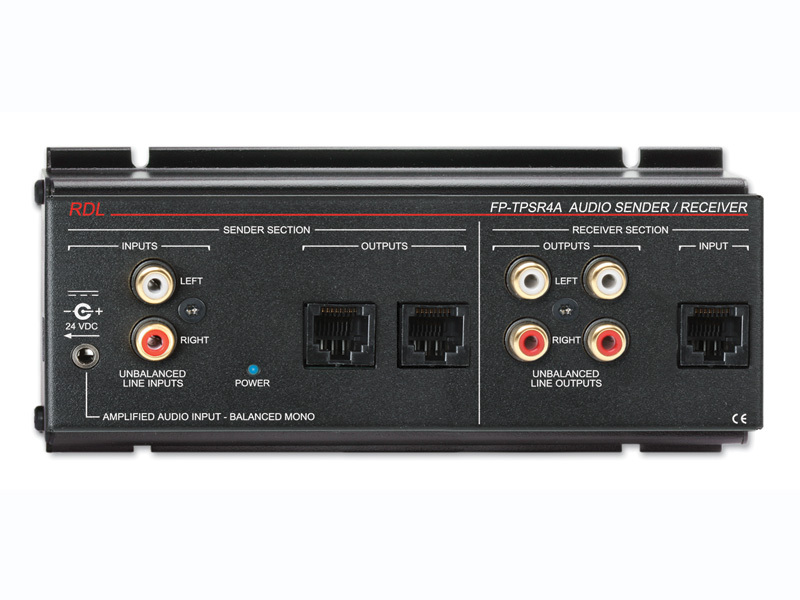 RDL FORMAT-A twisted pair products send, receive and distribute audio with studio-quality performance. Modules are available for mounting in walls, cabinets, racks and at other convenient locations. SENDING and RECEIVING modules are equipped with connectors and terminal blocks for standard -10 dBV unbalanced and +4 dBu balanced line levels, and standard microphone levels. FORMAT-A uses one pair for power and three pairs for signals. Sending and receiving modules each use one pair, two pairs or all three pairs for audio signals. Single-pair products allow the installer to select which of the three pairs is used to send or receive the signal. 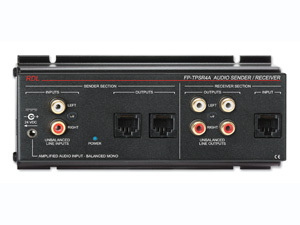 Two-pair products are used for stereo audio. Three-pair products send and receive three separate signals which may comprise three mono signals or microphone plus stereo line signals. Modules that do not use all three pairs are equipped with two RJ45 jacks, allowing SENDERS and RECEIVERS to be daisy-chained. RDL FORMAT-A products are compatible with RDL twisted-pair power inserters and signal distributors. Design simplicity, ease of installation, unsurpassed flexibility, automatically fused power, exceptional hum rejection, low noise, and low distortion provide designers and installers the optimum choice in economical twisted pair products. Format-A products are designed and manufactured in the U.S.A.